Berocco Pure Merino Yarn – or any worsted weight yarn. I chose Pure Merino because it’s a superwash wool yarn. Note: I prefer to use DPNs and my patterns reflect this, but if you use a circular needle, you can use stitch markers in the areas of the pattern which specify different needles to mark where certain stitches should be made. 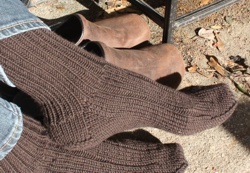 Let’s Knit Some Chunky Socks! CO 43 and join first and last stitches to begin the round. This will leave you with 42 sts. k in rib knit (k1, p1) for 50 rows or to desired cuff length. Put 22 sts on a stitch holder. This will be the instep. sl 1, k to end (19 sts), turn. sl 1, p to end, turn. 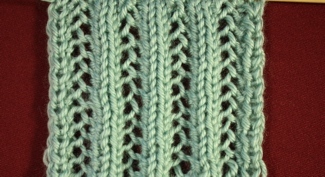 Continue knitting in St st (slip 1st st on each row) for a total of 12 rows, ending with a purled row. Repeat the last 2 rows until you have 10 sts remaining on that needle. Continue repeating the last 2 rounds, alternating decrease and even rounds, until you’re back to 42 sts. 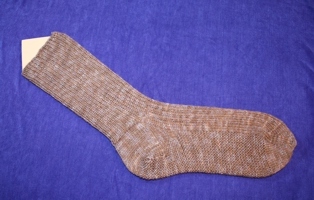 Once you return to 42 sts, continue knitting in the following manner until the foot of the sock is 2 inches shorter than the final desired length. We’re going to redistribute the sts to three needles at this point. 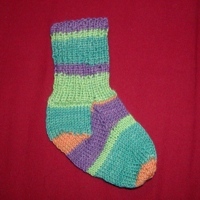 Remember that Needle 1 is the bottom center of the sock. The center of the stitches on Needle 1 will become the beginning of the round. So starting from the beginning of the round (the center of N1) and incorporating sts from N2, put 10 sts on an empty needle. This means 5 sts from Needle 1 and the 5 sts from Needle 2 will be combined. This is now Needle A, or NA. Repeat the last 2 rounds until you have 18 sts left – 10 sts on Needle B and 4 each on NA and NC. Now the sock is ready for the kitchener stitch! Need help with other abbreviations? Visit our Abbreviations page!